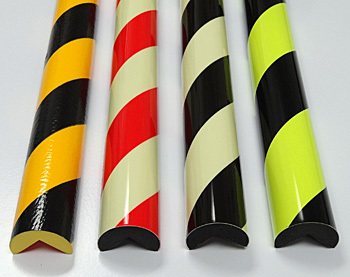 Yellow & black - safety yellow and contrast black in diagonal striping helps make workers aware and brings attention to the safety hazard. Photoluminescent - this glow-in-the-dark quality helps workers see where potential injury points are even when the lights are out. 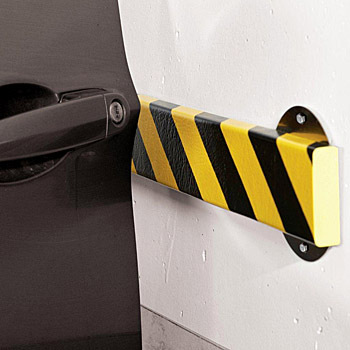 Helps prevent workers from stumbling into a safety hazard during evacuation. Fluorescent/Photoluminescent - daylight and darkness luminosity to keep workers aware of safety hazards no matter what the light level.